The Madison Common Council on Tuesday officially designated Friday, November 23 to honor the people who fist lived here. It’s been an annual tradition for many years in the Ho-Chunk Nation to celebrate Ho-Chunk heritage on the day after Thanksgiving, and the day has been officially recognized by the City of Madison for the last few years as well. 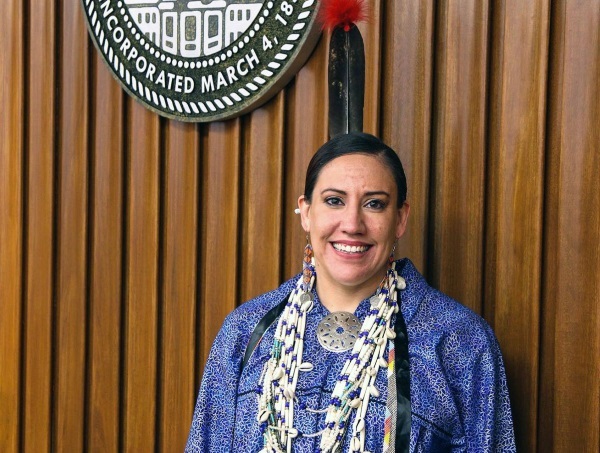 “It’s the acknowledgement of our history here as a nation, that we have been here since time immemorial and continue to be here and I think that acknowledgement is important,” said Alder Arvina Martin, the lead sponsor of this year’s resolution. Martin is the first member of the Ho-Chunk Nation to serve on the Madison Common Council. This year was different, though — for the first time, the resolution was been introduced in the Ho-Chunk language, a language Martin is still learning. “I know I messed up a lot of the pronunciations … but I’m learning,” Martin said in an interview Wednesday. Martin is learning the language through a new flexible program that aims to preserve a very complex language with a dwindling number of fluent speakers. “It was important to me to have our language spoken on the floor and have it entered into the record, being that was the original language spoken here,” Martin said. Martin said her language teacher, Shane YellowThunder, helped with the translation.